Alright I tossed around sharing my Pumpkin ravioli recipe with you all...but honestly I'm just not ready to give away that secret. I'm also still planning to eventually publish a recipe book...so I don't want to give it away. 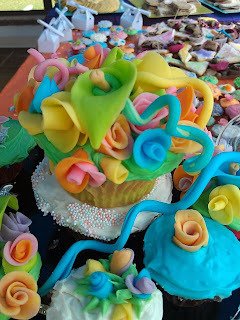 Instead I will share with you my Marshmallow Fondant recipe. Why? 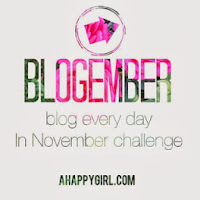 Because it's easy and because I have ton of really beautiful pictures to share with you on that topic! We've all seen that fondant is a consistently growing trend in cakes. The issue though, is that fondant tastes like crap and they pile so much of it onto these 'gourmet cakes' that you're stuck feeding people disgusting almond paste and thin bits of butter cream. 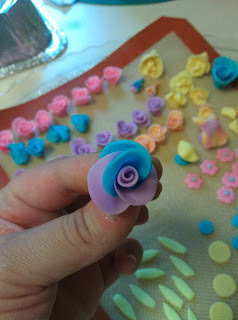 I refuse to participate in this and so I started making my own marshmallow fondant last year. I figured I'd be a little generous and share it with you! As always Mise En Place is important so let's get our ingredients together. (2) 10 oz bags of mini marshmallows. 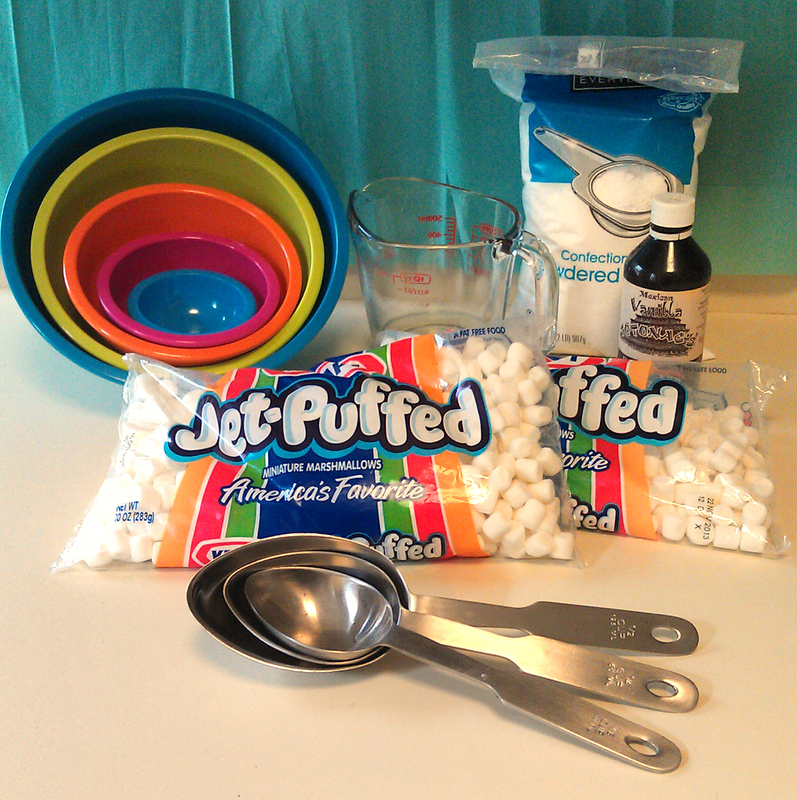 You'll also need a sauce pan large enough to melt the marshmallows in. 1. Place the two bags of mini marshmallows in a saucepan over a medium flame. Begin to heat and with a buttered spatula (here's where the butter comes in) stir continuously. 2. After about a minute add the water to the pan. Give it a good stir. 3. Stir the marshmallows continuously until melted. Once they are completely melted add the vanilla and remove from heat. 4. Place the marshmallow mixture in a mixing bowl. You're going to start incorporating the confection sugar slowly. 5. Slowly add in the confection sugar to the melted marshmallow mixture, until you've incorporated nearly all of the confection sugar. 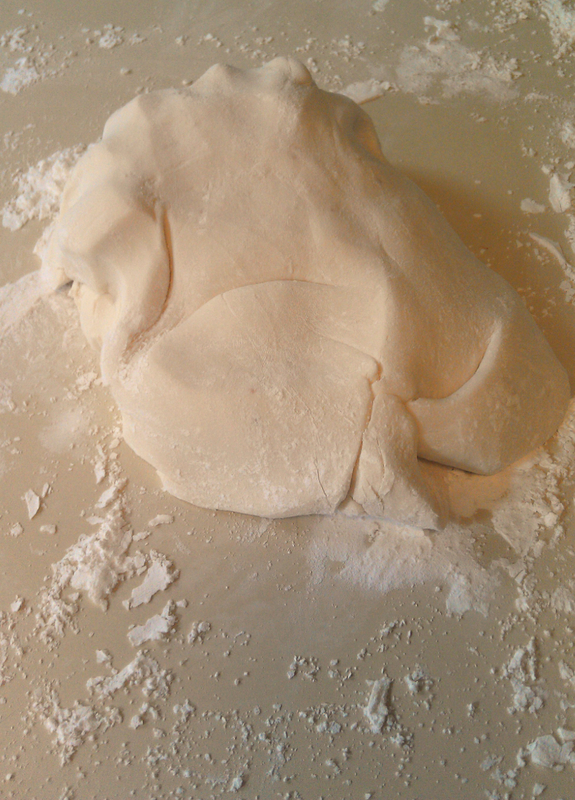 Set aside a small amount of confection sugar to knead. 6. 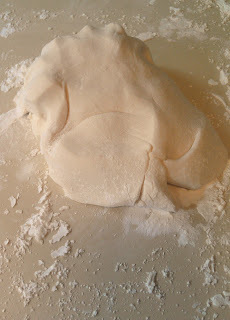 Cover a surface with the confection sugar set aside, and place the dough on it, begin the process of kneading. Knead until the dough is smooth and not sticky. This will take about 5-10 minutes. If you need to store it, be sure to wrap it tightly in cling wrap and refrigerate it. You can pull it back out to use just allow it to get to room temperature.Ta-da! 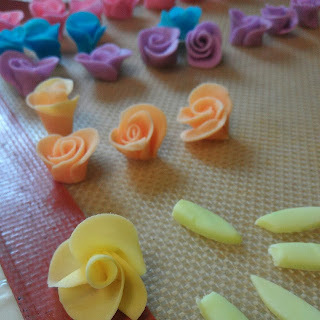 Great tasting, fun and rather simple to make. Tips: Imitation vanilla is never an option for me. Use the real stuff, the taste is very very different. I know, I know imitation is cheaper. It's also pretty gross and mostly alcohol. Be sure to really pay attention to the marshmallows on the stove, you don't want them to burn. 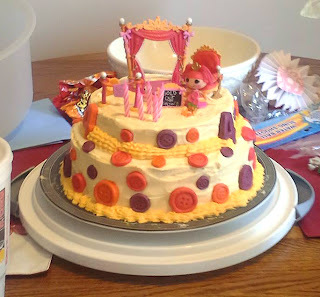 My sister requested that I make her some of this for her daughter's birthday cake. She used the fondant I sent to her to make the buttons and numbers on this pretty cake. 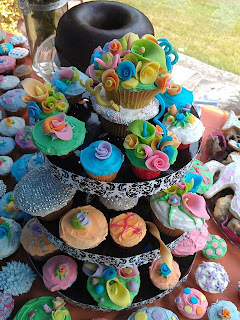 I've previously used this recipe to provide the most elaborate cupcake table ever at my best friends bridal party.